Most people might see a bump on the side of their foot and think they have calluses or a bunion (which actually has a scientific name you might not have heard of – hallux valgus). But if you have a strange bump, it might be caused by something else. Is the lump or bump on the side of your foot more than a bunion? Read on to learn about possible causes and potential remedies. Note: If your bump is accompanied by serious symptoms, such as severe pain or a lack of range of motion, see your doctor. The bump on your foot could be caused by many different conditions. Some of them are familiar, such as bone spurs, gout, or arthritis. But it could also be caused by something you’ve probably never heard of, such as piezogenic papules or plantar fibromas. Let’s take a look at some of the other potential reasons a bump on your foot may develop. A ganglion cyst appears as a bump just blow the surface of the skin. 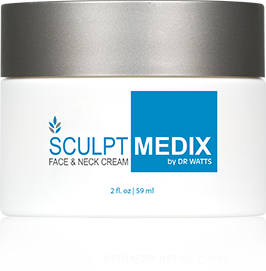 This common issue can give your skin a lumpy appearance as a result. It can appear not only on your foot but also on your wrist, near your heel or Achilles tendon, and on other areas of the body. It’s a benign growth usually caused by the accumulation of fluid leaking from joints or tendons. Your body creates more bone in an effort to help support the area – and the result may be a bone spur. Other potential causes include skin infection, age, and being overweight. Piezogenic is a term that means “pressure.” Papules are small, raised bumps on the skin that look like blisters. Researchers aren’t really sure what causes piezogenic papules to form. Many people suffer from arthritis, a condition that can be so severe it robs them of the ability to live a normal life. Everyday tasks may be painful. In addition to pain and swelling, arthritis may also cause stiffness and other uncomfortable symptoms. If you have a bump on the side of your foot, it could be caused by rheumatoid arthritis. In severe instances, it can affect not only tendons and ligaments, but also your nerves and blood vessels. Plantar fibromas are nodules located near the foot’s arch, toward the heel. While a plantar fibroma is a form of tumor, it’s not life-threatening. This is not the same as plantar fasciitis, which is inflammation of arch tissue. Scientists aren’t sure what causes a plantar fibroma to form, but most believe it is related to genetics in some way. If you’ve ever had gout, you know how much pain it can cause. Whether it affects your ankle joint, metatarsophalangeal joint (located between the toes), the side of your foot, or anywhere else, it can be very hard to walk or even stand. 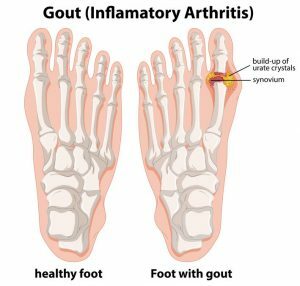 Gout is a type of arthritis caused by an accumulation of uric acid. It typically affects the feet, but it can strike any joint. People who drink a lot of alcohol will typically be at high risk, but genetics may also play a role. Certain medications may also lead to gout. Why do Uric Acid Deposits Appear at Foot Joints? The main culprit behind gout, uric acid, is a fluid created through the process of digestion. Uric acid passes through the kidneys. In someone with gout, however, high levels of uric acid also form crystals in the joints and surrounding tissues. A plantar wart is caused by a virus known as human papillomavirus, or HPV. It’s usually found on the soles of the feet, but these warts can also develop on the sides of the feet and near the heel. Lesions and calluses usually form in the affected areas. These warts usually go away on their own, but there are treatment options. Plantar warts are contagious, so patients with the condition need to talk to a doctor to determine the best way to keep from spreading them. Now, there are some instances where a bump on the side of the foot could be a sign of a major medical problem such as peripheral arterial disease, or PAD. As you can see, there are a lot of reasons that bumps can form on the side of your foot, or near other areas of your foot. Some of the reasons are harmless, but others can be serious. If you’re simply annoyed about how the skin on your foot looks, you probably won’t need medical help. But don’t hesitate to see a doctor if you ever experience serious discomfort. Only your doctor can determine for sure what’s causing that bump!